n our growing Colorado, we are seeing historic landmarks taken over by new development. But there's one iconic restaurant welcoming some pretty drastic changes and embracing the building boom. DENVER -- In our growing Colorado, we see historical landmarks taken over by new development. But there's one iconic restaurant welcoming some pretty drastic changes and embracing the building boom. 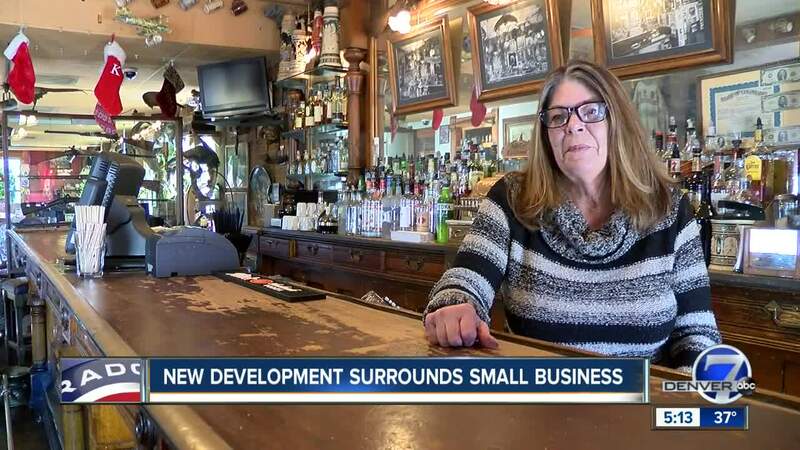 “All of the new development is bringing us a lot of business, a lot of word of mouth,” said Renell Johnson, Manager at The Buckhorn Exchange Steakhouse. Established in 1893, the Buckhorn has been around spanning three centuries in Denver. As the city continues to grow that means this historic landmark is also getting some new neighbors. Years prior, the Buckhorn was surrounded by the projects and stood on its own. Now there are new apartments and a light rail stop right across the street from the location on Osage St. A nearby parking garage will also provide more parking spots for customers coming to the historic restaurant and other businesses built or in the works nearby. “We are losing a lot of our past,” said John Howard, Buckhorn customer. Howard is a long-standing visitor at the steakhouse. He said places like the Buckhorn keep Denver tied to its historical roots. Old traditions, with new clientele. The hundreds of animal mounts, pictures and other memorabilia covering the walls are welcoming fresh guests to a city staple.